Christmas is coming soon and one of the animals most associated with Christmas are the reindeer who pull Santa’s sleigh. Also known as caribou, these large deer can grow to up to 220 cm long and weight over 300 kg. Well known for their large antlers, reindeer are the only species of deer where both the males and females grow them. However, it’s the males who have the biggest antlers. They can grow up to 130 cm long and are used to fight with other males during the breeding season. They are well suited for living near the North Pole, with very long fur and large flat hooves that are well suited for walking on snow. Their large noses are also used to warm up the air that they breathe in. They travel in herds of up to many thousands in the constant search for food. In summer, they eat grass and leaves, whilst in winter they use their excellent sense of smell and ultraviolet vision to find lichen and grass under the snow. Their annual seasonal migrations are up to 5,000 kilometres long, which is the longest distance of any land mammal. Reindeer are a very common animal and are found in Canada, Alaska, the northern part of the United States, Finland, Norway, Russia, Iceland, Greenland and Mongolia. 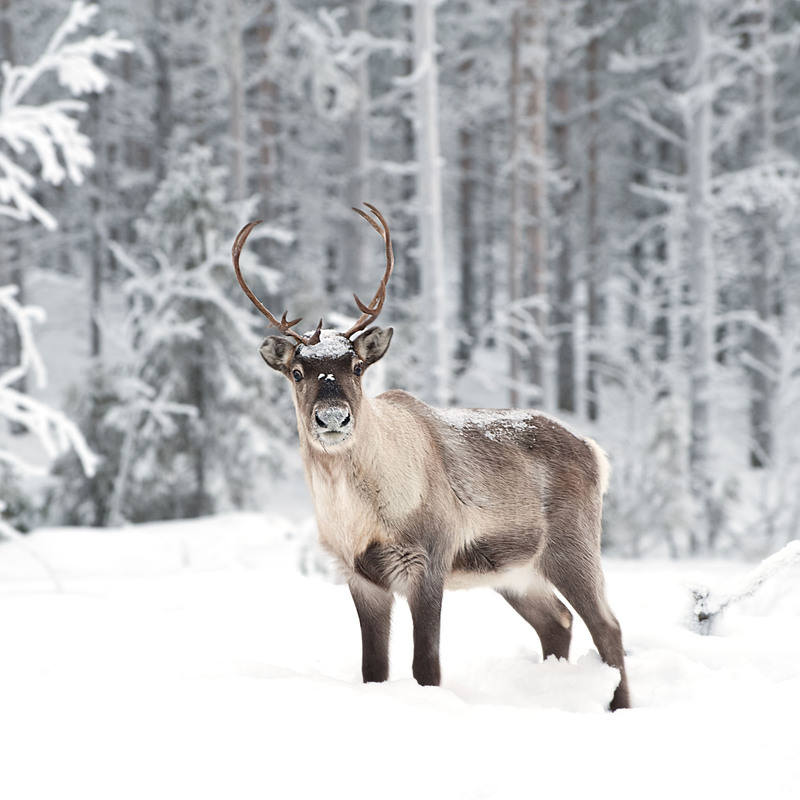 Are there any other interesting facts that you would like to share about reindeer?